→Is Social Media Killing Your College Chances? We now have the ability to stay up-to-date on players current situations. For example: How players are going with an injury, what was their stat line for the night, who played well each game, etc. We now have the ability to perform a background check on potential new recruits. Today I’m going to be focusing on number 2 because I don’t think all coaches and players realize how incredibly powerful and potentially life-changing this ability is. I know what you’re thinking… Life changing? That’s a bit dramatic isn’t it? Just scratched a recruit from my list. Says crazy things, curses, & uses “N” word on social media. Don’t need knuckleheads in our program! As you can see from these tweets, recruiters are doing background checks on all social media profiles while they consider their potential players. An inappropriate comment or photo can be the difference between going to the school you desire, or maybe not even receiving an offer. It scares me to think that some of these players’ dreams are about to be shattered because of some silly things they’ve posted on social media sites. Players don’t have the privacy that they once had. Not too long ago, colleges would recruit solely based on the talent of the player. They might have spent a few hours with them, but they didn’t have the opportunity to get to know much about them until they had signed the player up to their program. Nowadays, it’s a different story. Coaches have the ability to look back on your social media history and find out a lot about you. All players need to have the mindset that recruiters are going to thoroughly go through every single little thing about you on the internet. Don’t give them any reason to reject you based on your online profile. If you get rejected based on basketball talent, fine. You obviously didn’t work hard enough. But if you get rejected because of some silly, avoidable thing that you said on Twitter late one night, that’s definitely not fine. The main thing that recruiters are looking at when examining your online profiles is your character. Not just your character when it comes to basketball, but your character as a human. Things that you’ve said about your current team. If you’ve said anything about the coach. You see, college basketball is a very public sport. It’s all over the media. Interviews on TV, sporting scandals in the newspaper. Recruiters will happily cross off their list anyone that they think can potentially hurt the colleges public image. Unfortunately, I see too many players going off about coaches all the time on Twitter. “My coach doesn’t understand me. I never get on the floor”, “If he tells me off one more time I’m gunna crack it”. Do you think these people are going to get recruited heavily by the top schools? They might… but I doubt it. They’d have to be exceptionally good players. It comes down to the risks versus the rewards. Are you a good enough player that the reward of having you on the team is far greater than the risk that you’ll hurt the schools public image? So, let’s get rid of all the junk. 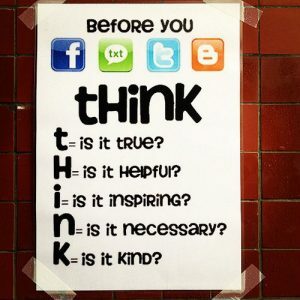 This is for Facebook, Twitter, and any other online profiles you have. First, start by going through all the photos that you’ve either uploaded or have been tagged in. Delete or untag any that recruiters might find inappropriate. Now it’s time for the hard work. You need to go back through all of your tweets on Twitter and posts on Facebook and delete any that might be found as inappropriate. Check your biography on the different social media sites. Make sure it accurately reflects you and your goals. That’s all you have to do. The process isn’t hard, but it is time-consuming and probably not something you want to do. But trust me, it’s worth it. You don’t want to take the risk and skip doing it only to find out at a later date that if you did clean up your profiles you might have got accepted. You’ll never forgive yourself. Now that your profiles are cleaned up and the recruiters will be happy, let’s discuss how to keep it that way. It’s quite easy, really. Don’t post or tweet anything that’s similar to all the statuses and tweets you’ve just deleted. Simple. Don’t let your emotions get the better of you – Got into an argument with a coach? Nearly got into a fight at school? Had words with a team-mate? Keep it off the internet. Don’t post any inappropriate photos – I think you can work this one out on your own. Don’t use inappropriate language – If you’re dropping curse words all over the internet coaches are going to assume you’re a ‘knucklehead’ (taken from the first tweet). As said earlier, you’re a reflection of the school. 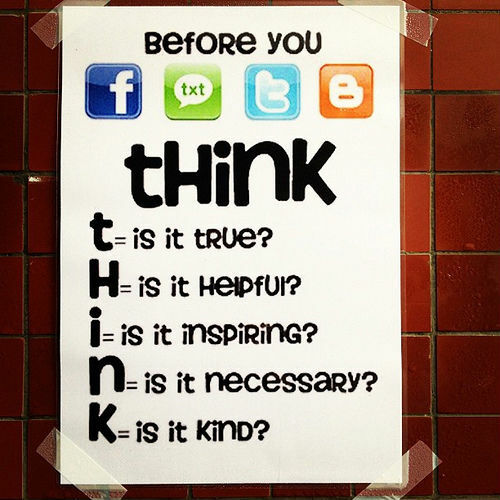 Don’t post anything negative about school – This should be obvious since the place you’re trying to get into is a college. If you want to go to college on a sports scholarship you don’t have the luxury of being a regular student and doing anything you want. You’re in the public eye. There are millions of people watching you. When people think about a college, they don’t think about the students studying physics. They think about the student-athletes that are on national TV for the whole world to see. You are representing the school. Now I’m definitely not saying don’t use social media. I use it myself — I’m on Twitter and I love it — but I am saying you need to think about how the content is going to reflect you each and every time you add a tweet or a post. Becoming a collegiate athlete is the path you’ve chosen to pursue and you must live up to the responsibilities that come with the role. What are your thoughts on players using social media?